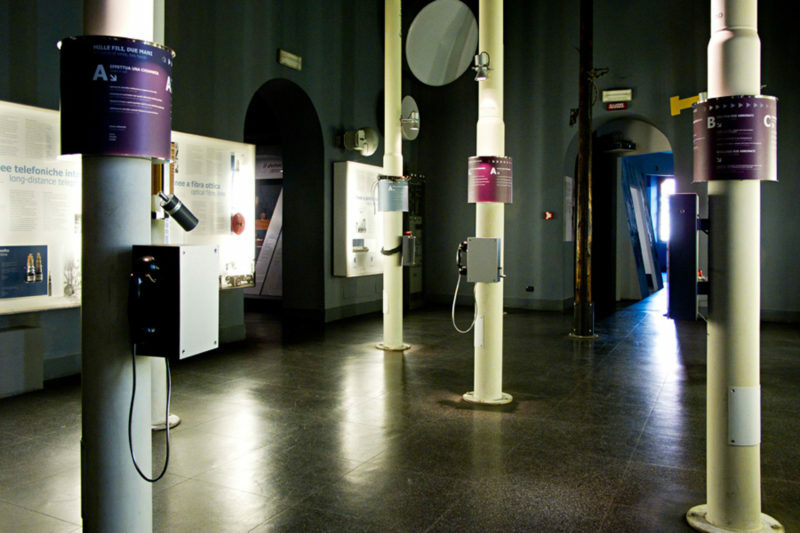 The permanent section of Telecommunications at the Museum of Science and Technology has been designed thinking of the dual-purpose exhibition didactics using two parallel channels: the historical apparatus (for example, the first pieces of Guglielmo Marconi) and the exhibits reference. In this way all the technological aspects are simplified both to the visitors and schools. All the visitors can thus understand the historical and technological innovation playing with simple exhibits that translate knowledge with practical experience. In the Hall of the network, for example, historical telegraph poles were combined with new technological poles in a network system connected by cables that clearly expresses the concept of “network node”. Thanks to a charming environment of alternation of light, the visitor discovers a network through the exhibits until the room shutdown and turns the lamps of wood on top of the piles.